Our product range includes a wide range of spearmint green tea, kashmiri kahwa green tea, minty fusion green tea, japanese matcha green tea, princess of green tea and lemon tulsi green tea. 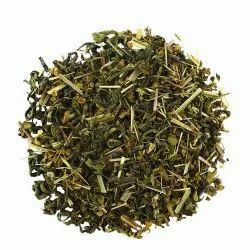 HEALTH: Spearmint Green Tea is an invigorating combination of green tea, spearmint leaves and lemongrass with added health benefits including anti-inflammatory, immune-boosting and digestion-calming properties. FEEL GOOD: Not only is Mint calming to your mind and body, it's also comforting for your digestive tract, sore-throat, allergies, and anxiety. Have a cup of this lovely herbal tea before bed for a more peaceful sleep. QUALITY: A hot steaming cup of Spearmint Green Tea is refreshing and will help you beat the summer heat, and at the same time it's known for suppressing appetite, kill craving and help with weight loss. AROMA: Leaving behind an aromatic after taste, Spearmint Green Tea has a unique flavour and fragrance. We are offering Kashmiri Kahwa Green Tea to our clients. This tea energizes and has a warming effect and is particularly beneficial to drink Kahwa in the cold winter night. It helps to relieve headache and maintain fluid level in the body. 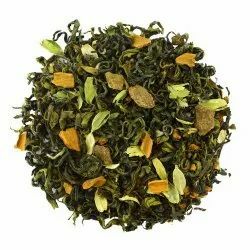 This Tea is a lighter take on a traditional tea, this exotic green tea inspired by the spiced teas of Kashmir region.Our version adds cinnamon, cardamom, and pretty saffron strands to the mix, for a light and delicate tea you can sip on all day long. For an authentic touch, try brewing it with sugar or honey and almonds for munching. Delicate Green tea blended with saffron strands, cinnamon bark, cardamom pods and Kashmiri roses to add a great aroma, helps you relieve headache and maintain fluid levels. Place 2g of tea (1 Tea spoon) of tea in the pot for per 200ml of water. Pour hot water from the top of tea-leaves. 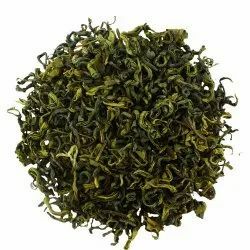 We hold proficiency in preparing and successfully providing a broad variety of quality tested and delicious Minty Fusion Green Tea. Mint medley is a delicious and energizing tea to boost your overall health in a number of ways, due to its ability to improve digestion, reduce pain, relax the body and mind by eliminating inflammation, cure bad breath, aids in weight loss and boosts the immune system. Revitalize your senses with this refreshing combination of natural lemon and organic green tea.A delicious and delightful tea is perfect at any time of day. Great for home and office and its as refreshing iced as it is hot and that is always great to sip with friends. A delicious combination of organic green tea, peppermint, spearmint and herbs is a delightful balance between uplifting and soothing. Bright notes and smooth green tea makes this well suited for hot and cold tea. Organic Green Tea, Mint, Spearmint, Peppermint, Lemongrass. An exceptionally fine grade powdered Gyokuro. Japanese Matcha Green Tea for use in Cha-no-yu (the Japanese Tea Ceremony). Also used in the preparation of foods calling for powdered green tea. We are offering Princess of Green Tea to our clients. 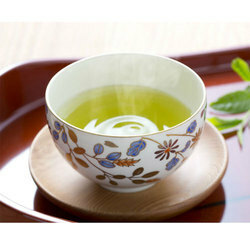 Green tea improves our soul’s inner alertness and concentration. Being aware and alert gives us a better perspective and a conscious presence. Green Tea, with its delicate and pleasant flavor, You can relax and enjoy this green tea’s stimulating qualities any time of day. One of our employee favorites, the perfect way to start or wind down your day. 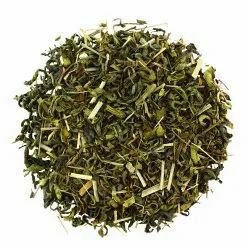 Princess of Green Tea is a carefully selected organic green tea leaves, gently steamed and rolled for a fresh delicate taste. 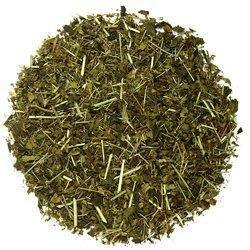 We are offering Lemon Tulsi Green Tea to our clients. Tulsi is disease resistant. It has world's best anti-bacterial, anti–septic, anti-viral, anti-flu, anti-biotic, anti–inflammatory, and anti-disease properties. It’s sweet, it’s lemon, and it’s Tulsi. Awake your sense with this transformative blend of lemon Tulsi bursting with fresh lemon hint and blended with nutrient rich green tea. Lemon Tulsi is also known as Thai lemon basil as this unique herb is harvested organically with lemon plant that it features a lighy lemon-y note as well as the soothing taste. 100% ORGANIC with No Flavors added.